These beautifully tailored girls pool & spa robes are ever popular for pool side play as well as an all year favourite for swim lessons. This smart design is in crisp white with aqua trim. 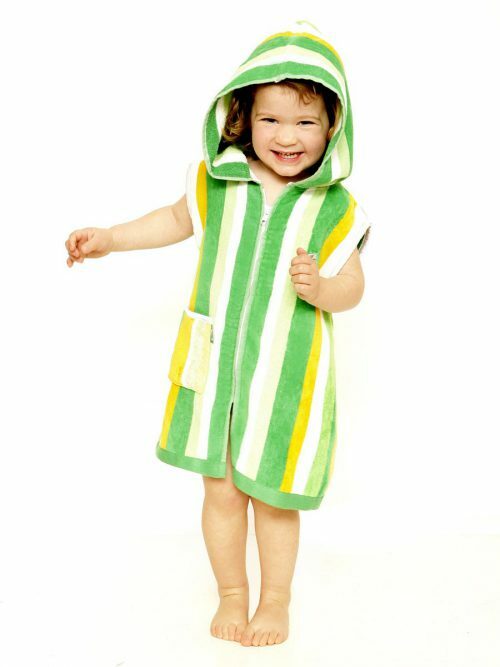 Made from very high quality 100% cotton waffle they warm-up and dry off little wet swimmers in one go. Plus they slip nicely under wet bottoms for the car ride home. These robes are beautifully tailored and beautifully sewn with bright coloured button closure with added waist belt. 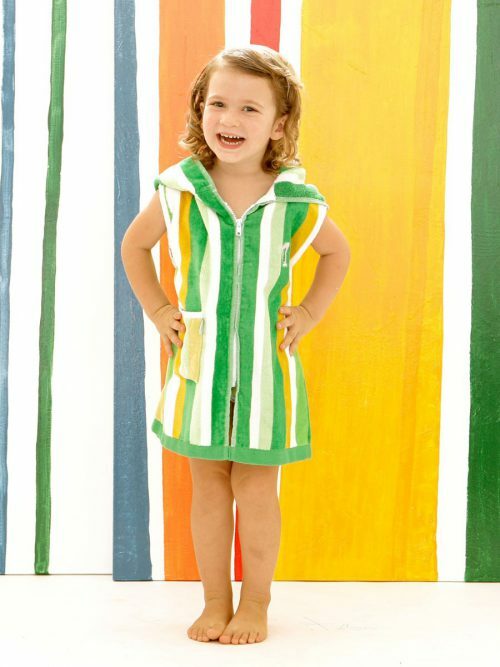 Available in children’s sizes 2, 4 and 6. Terry Rich Australia are experts in girls swim robes and sun cover-ups. 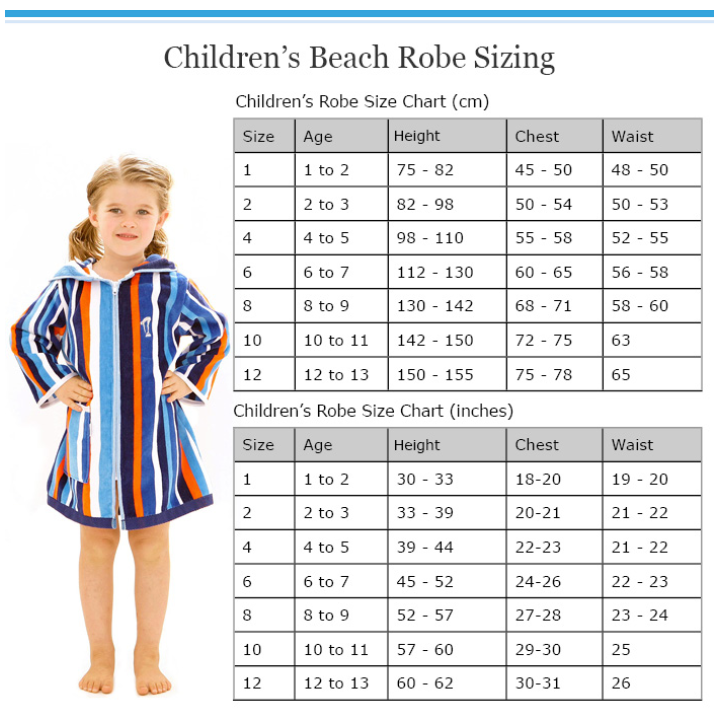 To learn more about the different styles of beach robes and cover ups available, click here. These beautifully tailored girls pool & spa robes are ever popular for pool side play as well as an all year favourite for swim lessons and training . This smart design is in crisp white with aqua trim detail. Robes are made from very high quality 100% cotton waffle. They warm-up and dry off little wet swimmers in one go. Plus they slip nicely under wet bottoms for the car ride home so no more wet seats! These girls spa robes are beautifully tailored and beautifully sewn with bright coloured button closure with added waist belt. Available in children’s sizes 2, 4 and 6.